Gus Malzahn ended the year with a bang. 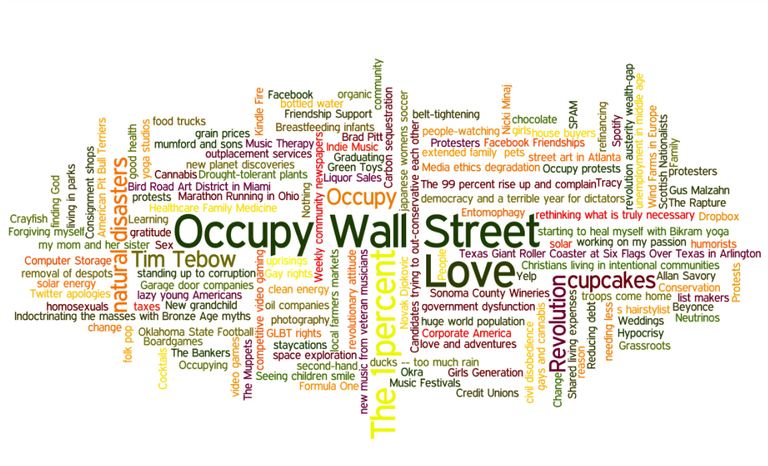 Not only did he give Auburn a French kiss goodbye with a finally effective offense, he (somehow) made an oddly constructed NPR word cloud of things, places, and people that had a great 2011, right along with Occupy Wall Street, Tim Tebow, and The Rapture. Gus is toward the top on the far right, click to enlarge. Gus Malzahn, makin' it rain since 2011! Gus Malzahn: He’s as popular as Facebook and The Rapture … and science proves it!